Travel Bloggers call this Black Tourism, were you feature places and locations that had a violent or dark history behind it. 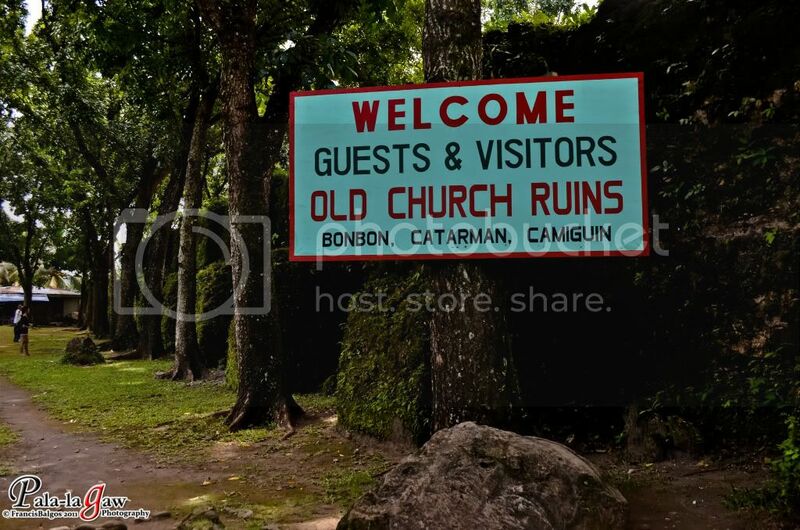 Camiguin is not called the Island Born of The Fire for nothing, as the entire island itself is littered with many volcanoes both old a new ones. The Sunken Cemetery is just one evidence of the force of nature lurking beneath the island. 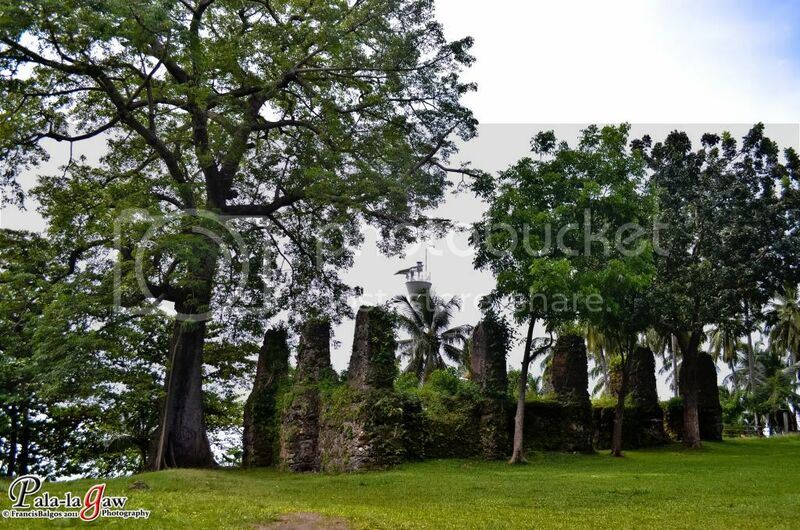 What I witnessed here in the Old Church Ruins is what's left of the original foundation of a church, could have been a Cathedral in respect because its obvious that it was a huge edifice before a Volcanic eruption ruined it. They're several visitors in here when we explored this ruins, but most stayed for just a few minutes, just having their pictures taken to show to some friends back home that they've been here, I can't blame them. As for me, it's enough that I've learned a bit of Camiguin's history, I'm falling in love with Camiguin more on every location I visit. A very peaceful place with rich history, what more can you ask for. I've always had the eye for Architecture, being a frustrated Architect myself. I like making perspectives of buildings and shapes, even making DIY miniatures of buildings and churches just for display. 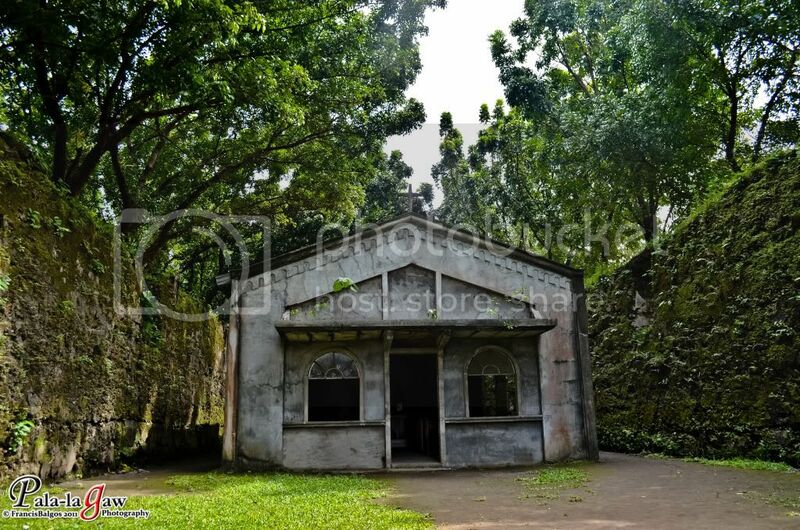 Not much is left of the Old Church but a moss filled walls that provide a sanctuary for a small chapel inside. As a photographer, I find this place perfect for photo shoots, like prenuptial shoots. The green colors, moss covered walls and filtered lights give an interesting shadow play if you know where to find a good light source. As what I did with my travel buddy, we both made an on the spot photo op for ourselves as you can see in the following pictures below. amazing, i really like them for preserving this. I hope someday i could go there. 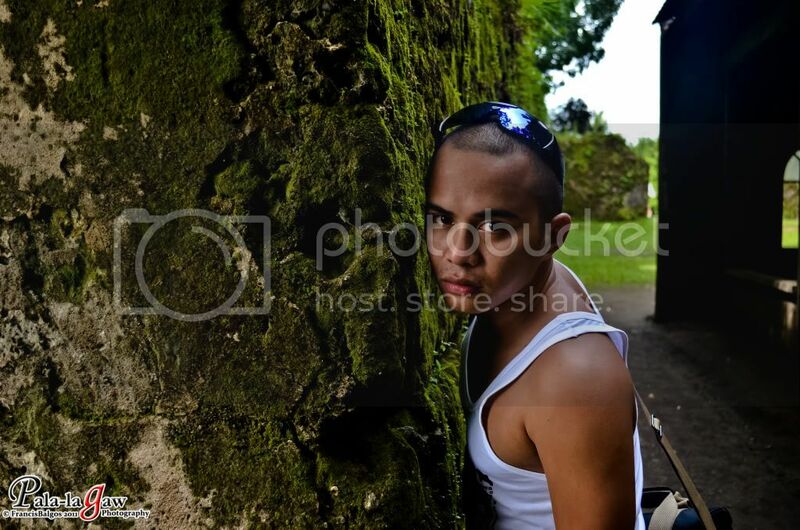 GREAT article and of course, the snapshots grabe parang nagka-model ang ruins ng camiguin! I had been to this place already in the past and wanting to come back soonest. 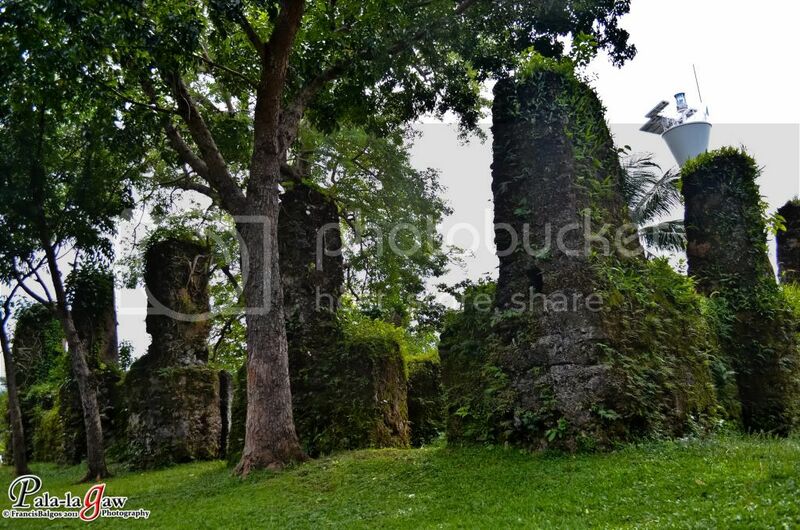 @ Journeys and Travels - model modelan lang.. wala masyado magawa sa ruins aside from wondering what the old church may have look like. hahah! @ Gladys and Olan- I think its about time you have to go back to northern mindanao.. CDO is an unforgettable city for me, at ang camiguin medyo effort, but the island has a special charm to it. this is part of out history and a must place to visit. I really had fun looking at the beautiful site and your posing too. The historic value of the Church ruins is marred by modelling of the "maniniyot" Nevertheless, I like the pix, enhanced by the model. 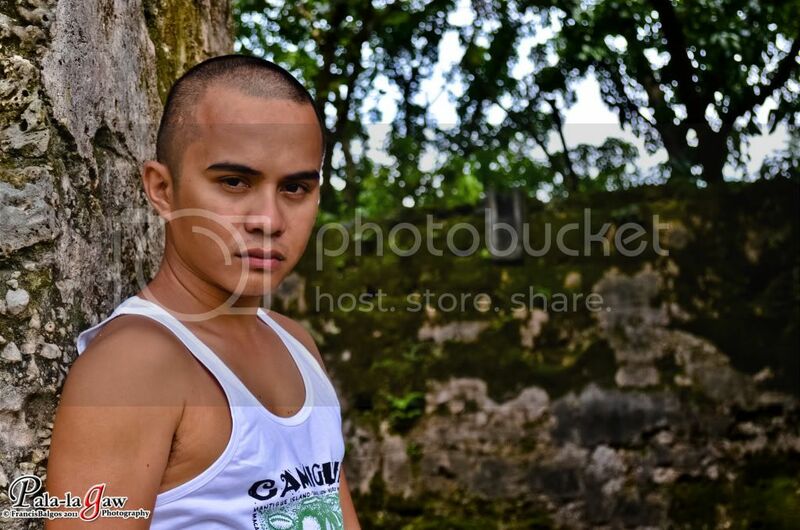 when we went there, there's a guy who volunteer to take our pictures, pang FB daw shots niya. hehe! sana maalagaan pa tong lugar na 2,a national heritage. GANDA NG PHOTOS! oohhh very nice. 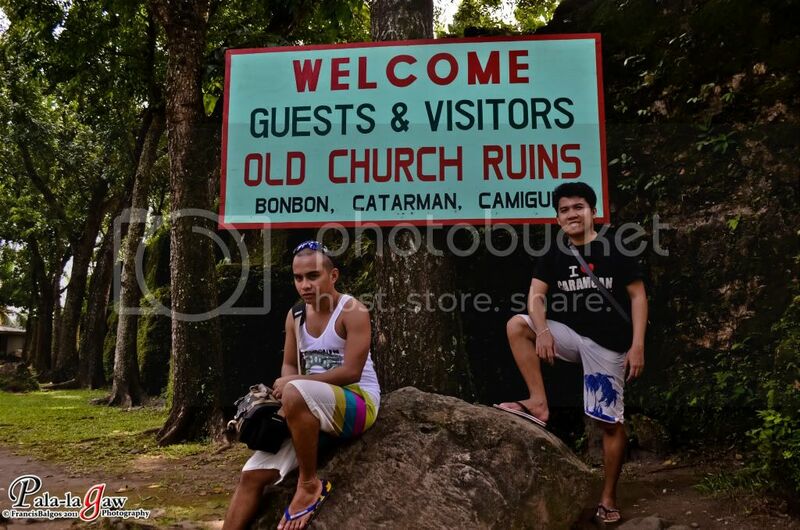 now I'm adding Camiguin to my list of places to visit. again, i've never been here, so we'll save this for future reference.. nice photos..
we're planning to go to Camiguin when I get home probably next year. Thanks for sharing a bit of the place's History. Your photos look very fresh. I love green because it is soothing to the eyes. 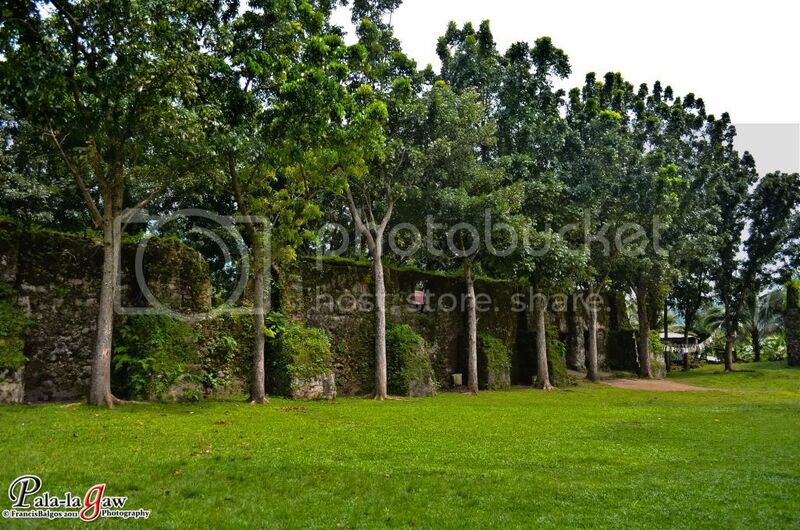 It is also nice to know that places like this are being preserved for tourism purposes. ang swerte mo bro nakapunta ka na dito, wish ko talaga ang camiguin ever since. First time I heard of Black Tourism. But it shows the character of the place. Another great place in the Philippines. The bond created between the greens and the church ruins has created one awesome landscape. 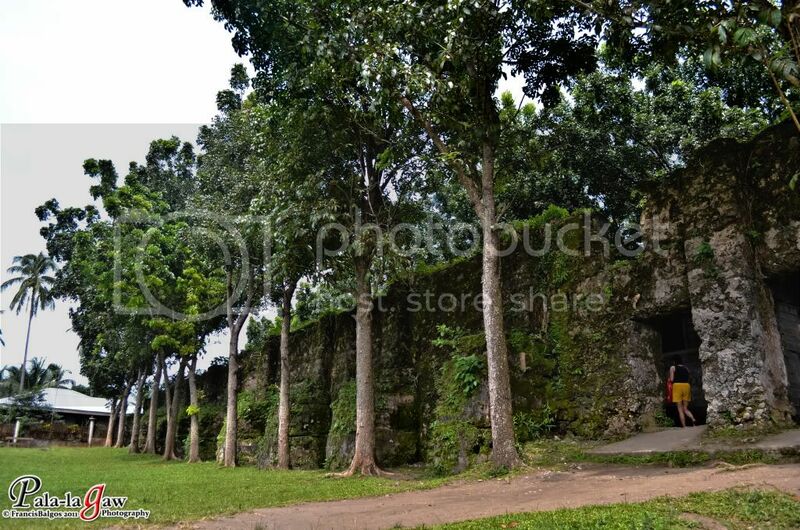 one of the beautiful places camiguin has to offer, i wish i can visit that place someday. I think I have been here...though gabi nga lang, where we witnessed the presentation of the winner of Lanzones festival street dance perform before then Tourism secretary Gemma Cruz. Ganda pala pag day time. Ganda din ng posing! Hehe.